Putting up a shed? 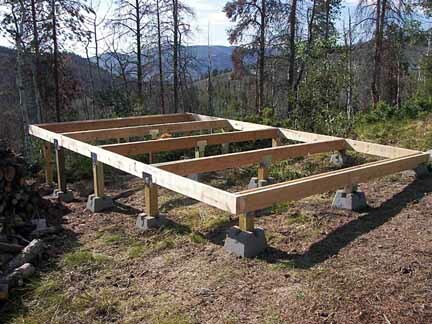 Having a proper foundation will give your shed the structural integrity it needs to last for years. A pad is poured for each of the four corners, making it less expensive than pouring a slab for the entire shed. Sheds without pad footings tend to settle on one side and that uneven stress on the shed can cause the supports to break and the siding to come loose. This shed was put up without any foundation.